Flower canvas pictures of white lilies with just a hint of green. 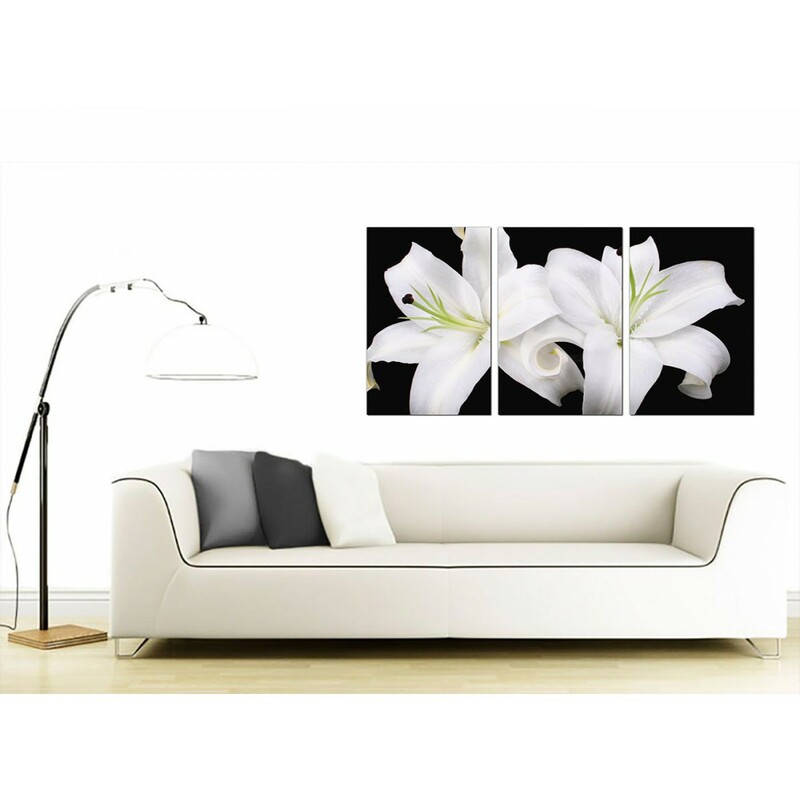 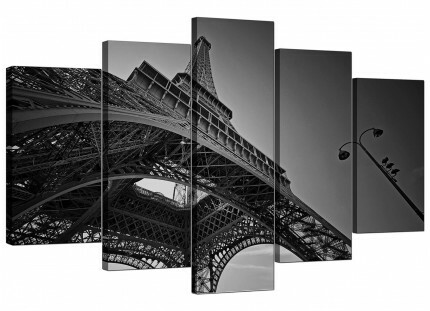 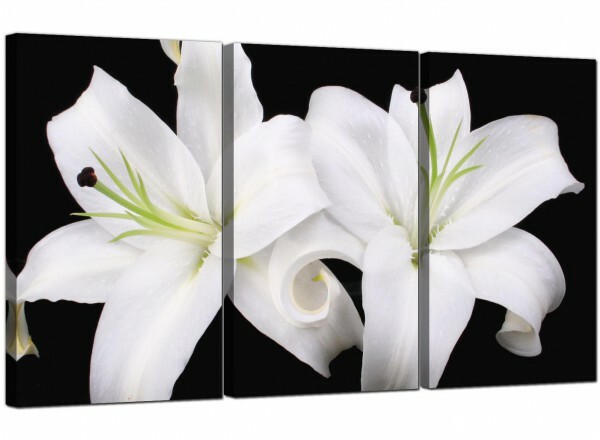 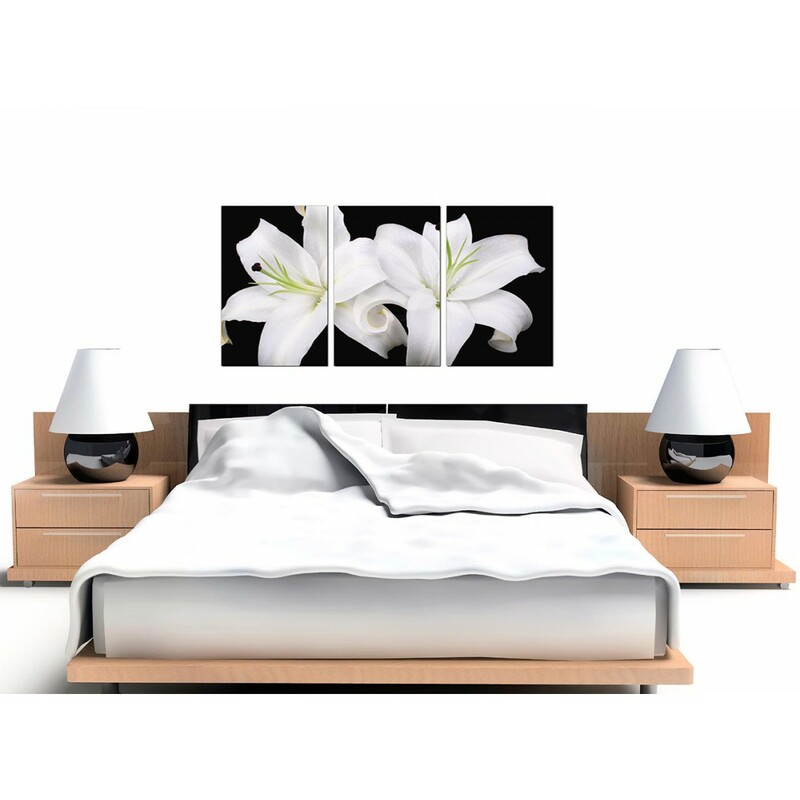 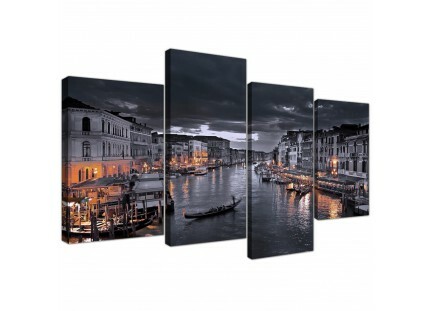 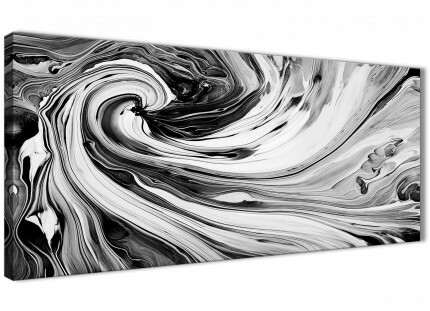 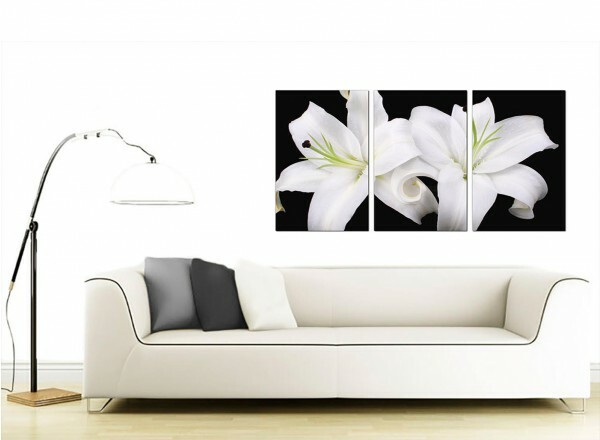 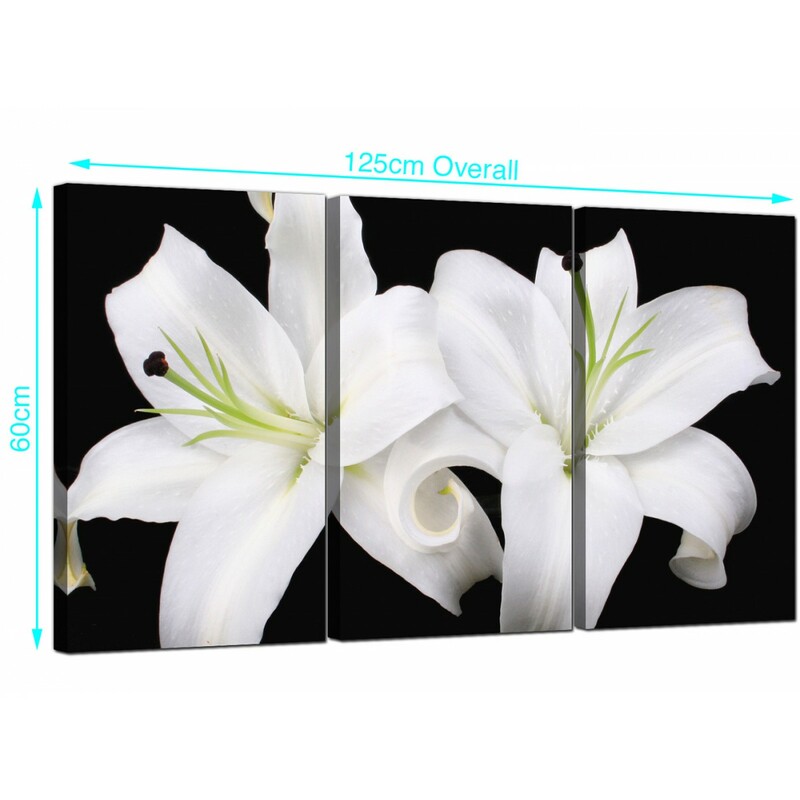 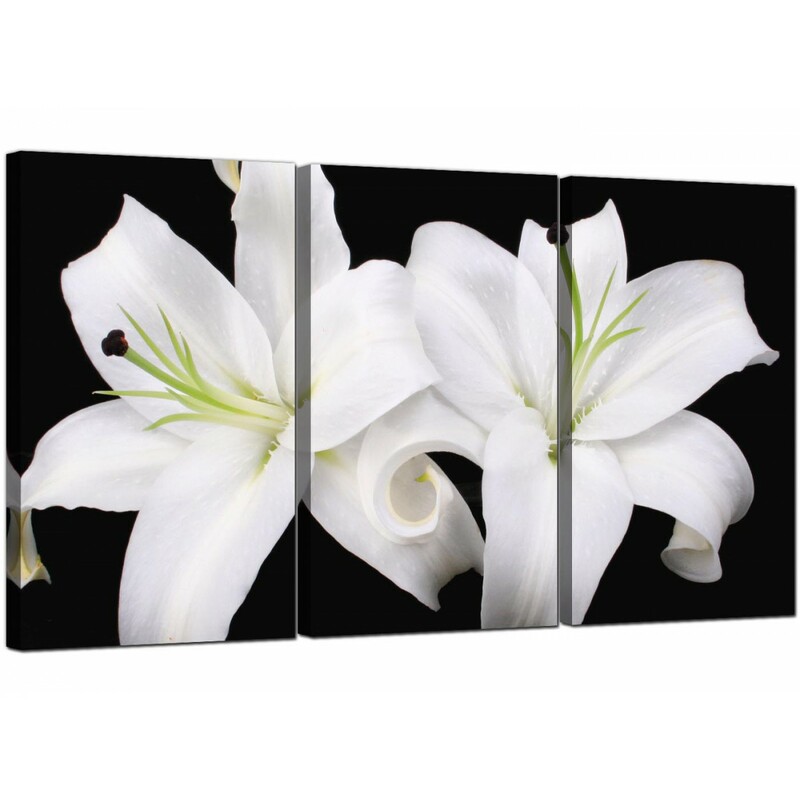 A large black white stylish set of 3 canvas pictures. 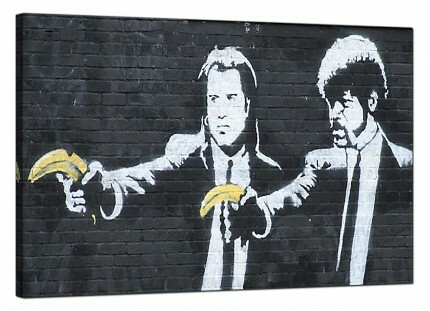 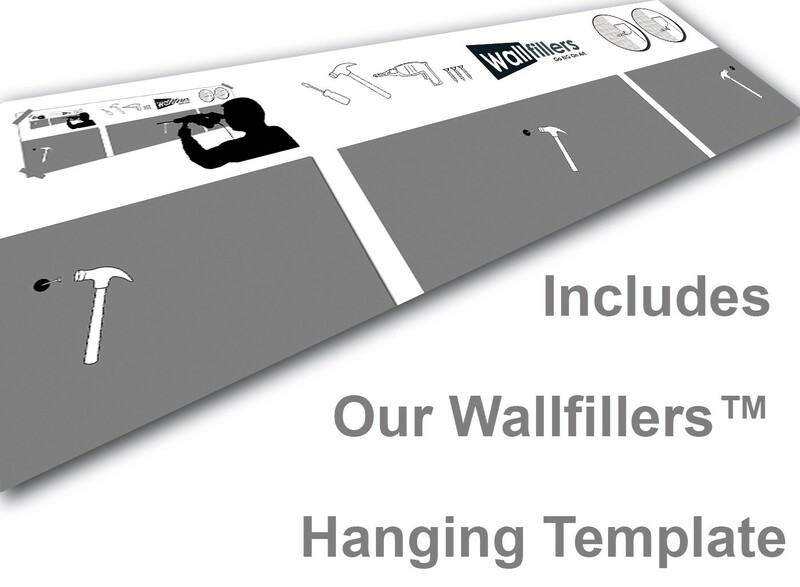 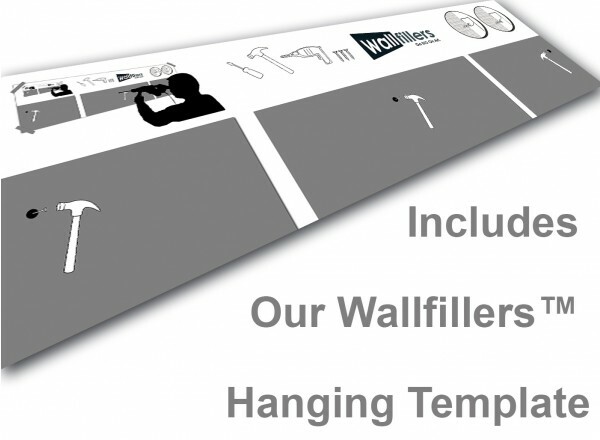 The UK's most dependable wall decor manufacturer. 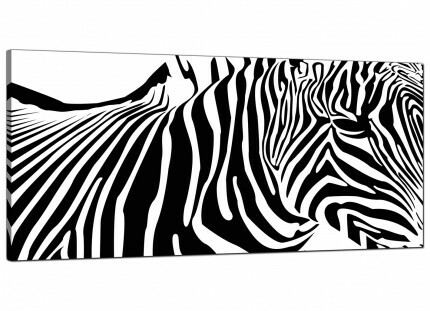 Canvases are manufactured in high quality with 75 year fade resistant inks. 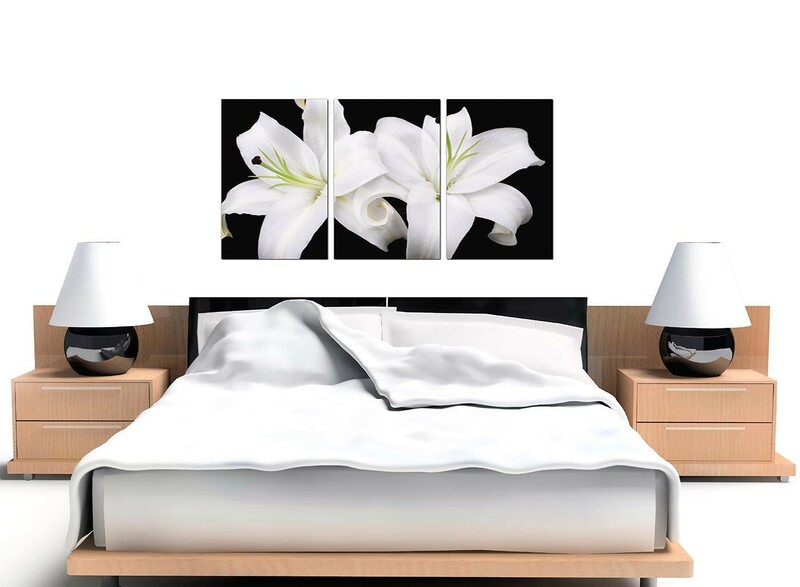 Ideal size for over your bed. 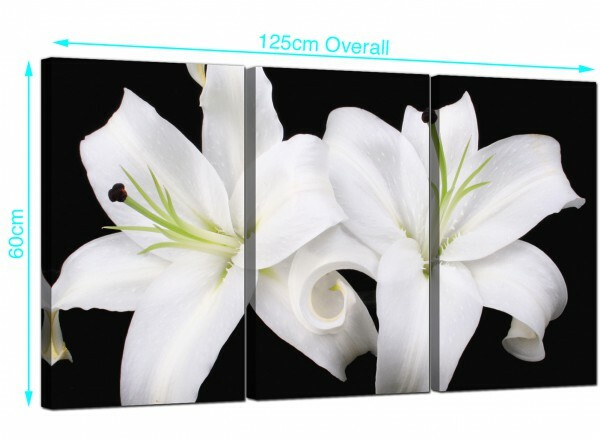 Each of the parts measure 40cm x 60cm (16" x 24"). 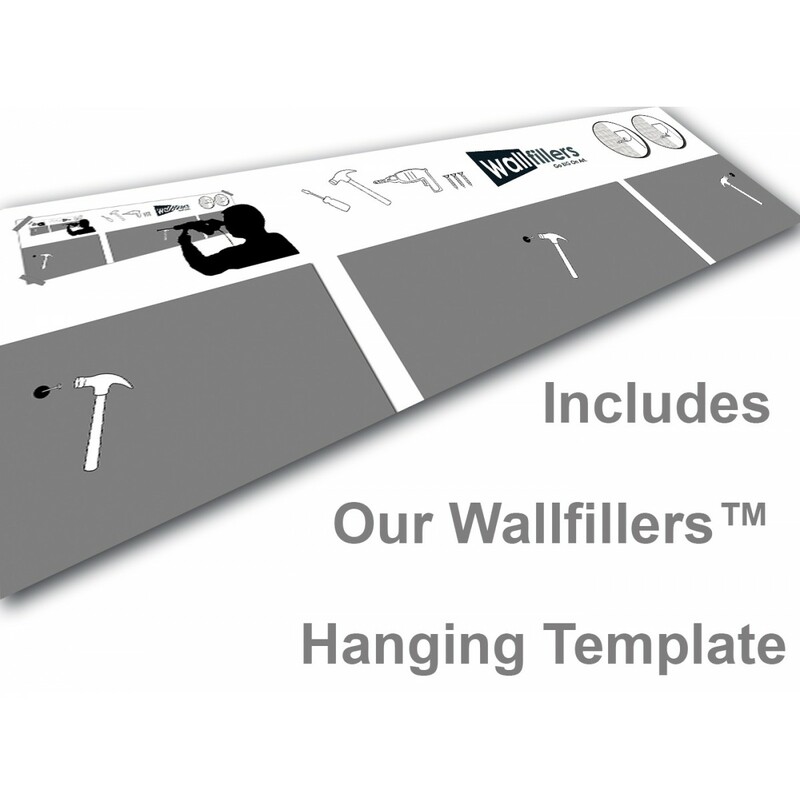 We advise a space of 2.5cm between sections.